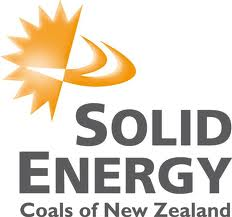 While Solid Energy should have fronted up to media interviews to defend itself against major criticism over the last few weeks, it has used a clever media training tactic during and around the appearance of former CEO Don Elder at this week’s Select Committee. We always tell our media training clients to have clear messages, whether for a media interview or any other appearance. But it’s also important to take this a step further and dress these points up in language that makes them irresistible to journalists and editors. By using elements like action, analogies or clichés, you allow journalists to bring their stories to life. They can’t use such language, but they can quote you using it. This is clearly understood by Solid Energy or their media training advisors. That’s because they not only said that a number of factors came together to create the financial mess, but they referred to it as “A Perfect Storm.” This makes the same point, but uses an attractive cliché that was irresistible to journalists. Elder, former chair John Palmer and even SOE Minister Tony Ryall referred to “The Perfect Storm” yesterday to make their point. This was then used by every major media outlet, with many incorporating it into their headlines. We tell our media training clients that by understanding what the media want, you can create a win win situation. In this case, Solid Energy got to make their point, while media outlets got to use an attractive cliché to increase the interest of their story among their audiences.